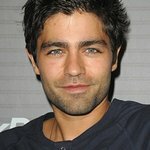 The star of HBO’s ‘Entourage’, Adrian Grenier, has made quite a name for himself as an eco-activist and has designed a new limited-edition t-shirt with the help of Nautica and GQ’s The Gentlemen's Fund to benefit Oceana. 100% of the $25 organic cotton tee will go directly to Oceana — the ocean conservation organization supported by the actor. “I think its important to constantly be updating and evolving with the changing philosophies, the changing science and team up with Oceana and Nautica and actually going out and seeing firsthand what’s happening,” says Grenier, " A lot of people don’t have the opportunity to actually see how we and our consumption [are] affecting the ocean and I find it to be a really fulfilling experiencing when you’re getting your hands dirty , when you’re participating, as opposed to sitting by idly and watching it all go by you." The T-shirts are available here. To learn more about Grenier’s work with the Gentlemen’s Fund and Oceana, click here.